One of the top attractions on the Island of Kauai, the 4,000-foot tall cliffs along the Napali coastline bring sightseers, hikers and paddlers from all over. Take the full-day paddle between Heana Beach Park and Polihale State Park to see amazing marine life like dolphins, sea turtles and seals, in addition to some of the most remarkable natural features Hawaii has to offer. Acadia has long been known for its stunningly rugged natural coastline and the best way to take it all in is from the water. Novice paddlers can hire a guide to take them along Frenchman Bay, while those more advanced might want to take their own excursion. There are public boat ramps in Bar Harbor, Northeast Harbor and Southwest Harbor, in addition to other access sites. Dip your paddle into the waters of the Pacific Ocean and marvel at the ancient cliffs as you pass them by—this coastal spot in San Diego County is one of the most picturesque around. 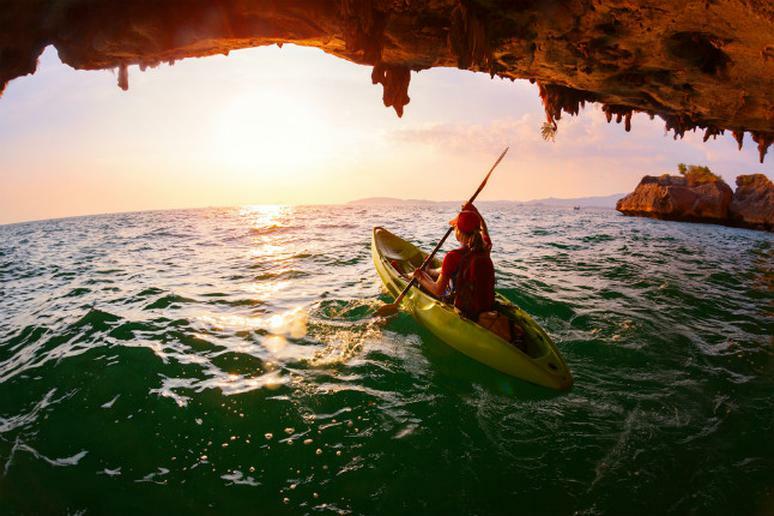 Explore the Seven Caves, snorkel with Leopard Sharks and catch a glimpse of a sea lion. The stunningly beautiful Oregon coastline is best appreciated from off shore, so paddle out and let the view take your breath away. The Tillamook County Water Trail offers 200 miles of navigable water for everyone from novice paddlers to experts and there are several access points along the coast. Outfitters are available to lead paddlers into hidden creeks and tree-lined waterways, or you can chart your own course. The remote beauty of this Alaskan national park is perhaps best appreciated from the water, though paddling on your own is not a good plan for the inexperienced. There are several outfitters available to help you discover some of the beauty that lies along the 750+ miles of shoreline. Paddle your way into coves and caves, take in the sight of incredible fjords and maybe even catch a glimpse of incredible Alaskan wildlife.